Stop getting in your own way. It hurts a lot... but did you know your fear of rejection is more destructive to your life than rejection itself? Each time you feel it, it snowballs with all the other times you have felt it and the fear grows. When it scares you into not sharing your feelings in a budding relationship to avoid being hurt, it sets you up for failure and more of the same: rejection. It’s more powerful than many other fears because it affects your self-esteem deeply and causes you to sabotage your chances when looking for love. And no matter how devoted your conscious mind is to looking for love, your subconscious protects you by using that big fear of rejection snowball to warn you if a similar situation comes up in the future. But that sabotages you at the same time because there are so many opportunities to be rejected, so the warning comes up all the time! And this keeps your self-esteem low. It makes you afraid to put yourself out there and after a while, you block yourself from ever experiencing what you want most — to be loved, cherished and finally find the right relationship for you. The fear of rejection also lowers your self-confidence, and without that, the man who wants a healthy, emotionally balanced woman to date won't even see you as an option. There are many situations where you might feel tossed aside, unimportant, pushed away, or ignored. That means the accumulated fear has the potential to ruin relationships, friendships, family ties, and work associations, in addition to preventing you from new ones. Things like not getting the job at the interview, getting stood up, or never receiving a call or text after that great date you had, a toxic friend excluding you to get her power-fix at your expense, a jealous coworker shunning you at work hoping you will quit, an insecure critical parent you just can’t please no matter what… even your cat ignoring you touches a cord. You may consciously know it's not about you, but inside, all of these big and small rejections snowball over time, making you afraid to risk feeling anything at all. You may beat yourself up with negative self-talk statements. If I deserved it, I’d have it. No one will ever love me. I’m going to be alone forever. Remember the subconscious doesn’t have filters. It takes what you say to yourself literally and looks for situations where it can bring you more of what you focus on. The key to creating true love and happiness is simply hacking your own mind. Otherwise, you automatically sabotage yourself day after day and who could stay hopeful in THAT situation? Focus on what you WANT to happen in your life and relationships and feel the feelings of already having that very thing, whether it’s love, that great job, the new car, a new gal pal, whatever. The feelings of already having it are what brings it to you because your emotions are your most powerful creative energy. 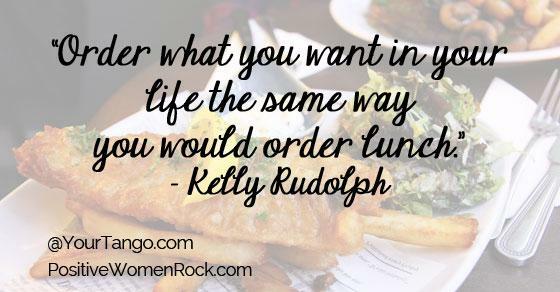 Here’s a simple way to look at it: Order what you want in your life the same way you would order lunch. You wouldn’t go to a restaurant and say, “Bring me lunch.” Who knows what you’d get! You order exactly what you want in detail — including how you want it cooked and what you want on the side — as you imagine how good it's going to taste. It’s the same with placing your order for what you want in your life. To get what you want, your subconscious needs you to order clearly. Otherwise, you're flying by the seat of your pants like everyone else does and feeling stuck and stressed... and rejected. 1. You're in good company. Everyone has been rejected. They may put on a brave face and jump back on that dating site, but they are just afraid of being rejected by you as you are of them. 2. If a job or relationship didn’t work out, it wasn’t supposed to. 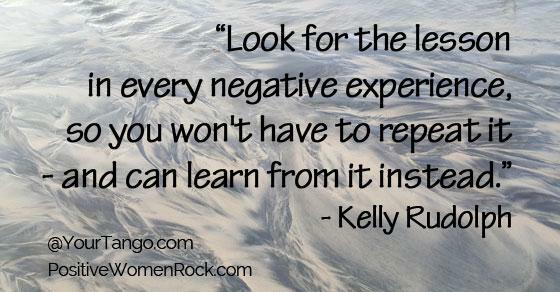 Look for the lesson in every negative experience so you won't have to repeat it — and can learn from it instead. 3. 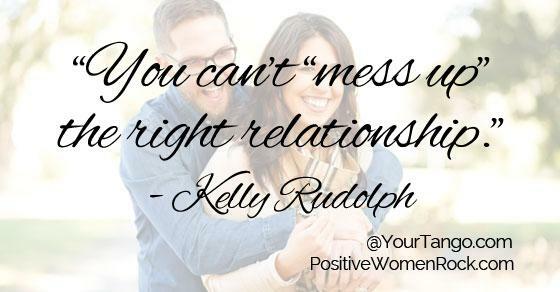 You can’t mess up the right relationship. In fact, your perfect match will likely find your annoying habits cute as long as you have self-confidence. 4. Only a small fraction of the pain you feel is about the current event. The rest is the snowball effect. 5. And most important, you must develop self-love. When you have that solid foundation to stand on, self-confidence, self-respect, and a healthy self-image come right along with it. Then, if someone rejects you, you move on quicker and easier — with positive self-talk, and self-esteem intact!